Bariatric surgery can help you achieve your weight loss goals. The key benefits of this surgery, including improved health and self-confidence, are positive and life-changing for the majority of patients. If you are considering bariatric surgery, you might have questions about how the surgery will be performed. The two main approaches are minimally-invasive laparoscopic surgery or traditional open surgery. Dr. Liza Pompa of Tijuana, MX, reviews the differences between laparoscopic vs. open bariatric surgery. Laparoscopic surgery is a type of minimally-invasive procedure that involves making very small incisions. These incisions are as small as 5mm in length, or a fifth of an inch. 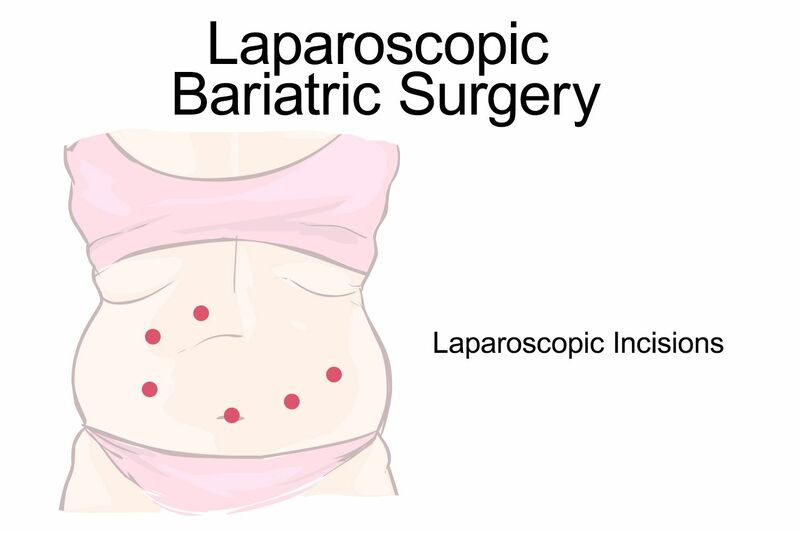 For a laparoscopic bariatric procedure, there are anywhere from one to six incisions made. Through these incisions, the surgical instruments and a laparoscope are inserted. A laparoscope is a small thin tube with a camera at the end. The camera displays images onto a monitor that the surgeon uses to visualize the inner surgical area. When the surgery is complete, the laparoscope and surgical instruments are removed and the incisions are sutured together. Traditional open surgeries require the surgeon to make a long incision at the surgical site. For a bariatric procedure, this is a three to six-inch-long incision. The reason for this large incision is that surgeons need to see the entire internal treatment area directly while surgically adjusting the stomach or digestive track. Recovering from such large incisions usually takes about 6 to 8 weeks. Laparoscopic surgery is preferred over traditional open surgery for many reasons. Essentially a minimally-invasive procedure is less disruptive and traumatic to your body tissues than an open surgery. This means that there is less blood loss during and after surgery, and there is a reduced risk of complications, like infection. Additionally, minimally-invasive patients report less pain and faster recovery times than open surgery patients. Laparoscopic patients will therefore spend less time in the hospital recuperating and be back to their jobs and everyday activities faster than patients undergoing traditional open surgery. As you probably have guessed, the surgical scars from a minimally-invasive procedure are less visible than the incision from an open procedure. In fact, the incisions from a laparoscopic procedure become very faint and are hardly noticeable as they fade over time. On the other hand, the incisions from a traditional procedure remain visible even as they fade with time due to their large size. If you are having difficulty meeting your weight management goals, and have tried diet and exercise, bariatric surgery might be the path forward to better health. Dr. Pompa can perform a laparoscopic bariatric procedure, including a duodenal switch, gastric bypass, gastric sleeve, or gastric band surgery. You can speak with a team member today by calling. You can also contact us online and we will get back to you shortly.